Applicant for Senior Fellowship should not be a recipient of artiste pension from the Ministry of Culture under the scheme for the grant of financial assistance to artistes in indigent circumstances. 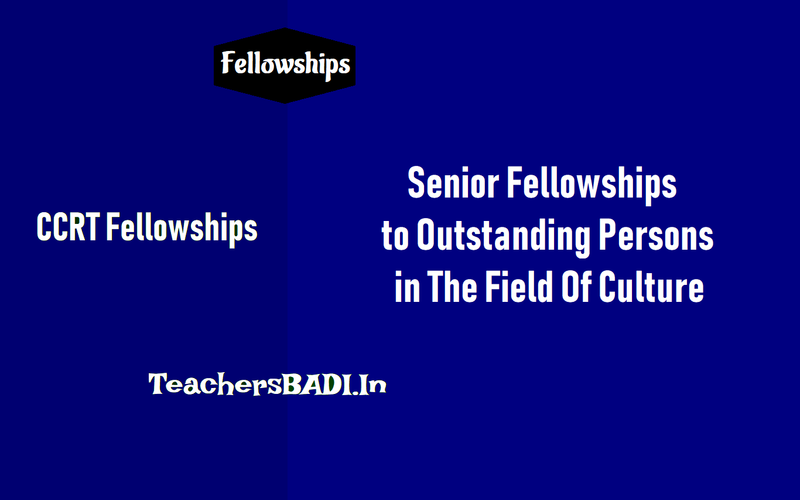 The applicant should never have availed of the Senior Fellowship in any of the fields earlier. However, an applicant who had been awarded a Junior Fellowship can apply for a Senior Fellowship provided 5 years have elapsed after the closure of the earlier project. senda NOC/Consent Letter from their employer. Incomplete applications in any respect will be rejected summarily. An Expert-Committee comprising experts in different fields constituted by the Ministry of Culture, Government of India, would evaluate all the applicants on the basis of their applications and project proposals, and shortlist the most meritorious among them Candidates shortlisted for Senior Fellowship will be asked to submit a hard copy of their application with all the required documents, based on which the Expert Committee will select a maximum of 200 candidates for the financial year for the award of Senior Fellowships), in different fields/areas taken together. 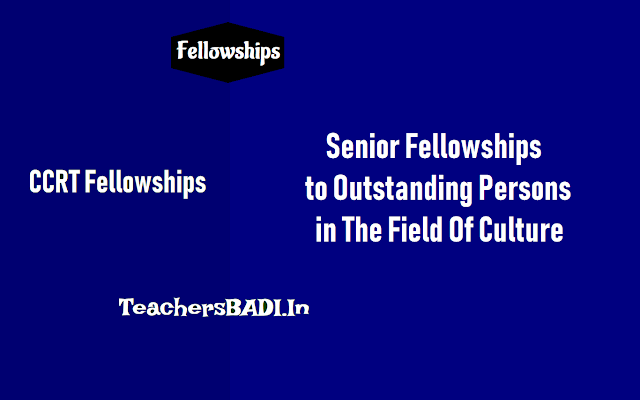 The total number of Senior Fellowship for the year 2018-19 is 200. All the shortlisted candidates will be informed of the documentary requirements on the e-mail address provided by them in their application(s). The candidate(s) are required to remember their mail ID and respective password. The names of the candidates finally selected for the award of Senior Fellowship under this Scheme will be posted on the websites of CORT & Ministry of Culture, after the selection process is completed and the selection is approved by the Ministry of Culture.